RecordClick is a member of Startup America. The Denville Award Program has chosen RecordClick for the 2013 Denville Awards in the Independent Researchers classification. Read below to hear some of the impressive genealogy researcher testimonials, and genealogist customer reviews, that we have gotten from our clients. 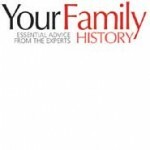 Isn’t it time you completed your family history? Call our professional genealogists today so that we can help you finally put together your family tree and preserve your family legacy. I wanted to tell you that I really enjoyed your program at SAGE Eldercare a few weeks ago — so much so that I joined ancestry.com that night and have not stopped entering data since. I had been doing research on the Internet to some extent and in libraries in PA, NJ and NYC in the early 1990s and I had not entered any data into a computer since 1998! Your program gave me the inspiration to jump back into my research — it may take me a long time to enter the generations of data that I had compiled, but now that I’ve started, I won’t quit! Amazing how things can change in a decade; back then, I had to look at 1800 census pages on microfilm and now multiple decades are available in one place!